Today, Rich Schur of Schur Success Auction and Appraisal was kind enough to spend some time with me. Up on the docket – how Rich got involved in this exciting industry, his thoughts on storage auctions as opposed to other auctions, and his thoughts on the recent storage auction craze. Rich, his wife Shannon, and their associates handle many different types of auctions, including storage units, on-line auctions, auto auctions, and real estate. They also handle appraisals. Rich and his team are extremely decorated and certified auction professionals, so I was very pleased to have the opportunity to chat with Rich. S.A.K: You handle several different types of auctions. How do you feel about storage auctions as compared to other types of sales? How do they differ in potential? Rich Schur: As an auctioneer, I really like the storage auctions. They are quick, relatively easy, and require very little overhead. I like the customers, and have a great rapport with them over the years. The biggest difference between storage auctions and the other we conduct are that storage units have the “mystery” factor. At our other auctions, whether commercial, real estate, tax lien, charity or whatever, the bidder has a great idea what they are getting. At storage auctions, it’s truly a treasure hunt and always a bit of a gamble. S.A.K: How did you first get involved in auctions? What about this industry continues to excite and challenge you? Rich Schur: I was a trainer and consultant before I met my wife, Shannon. She’s a second generation auctioneer and a great teacher. I fell in love with this business and have embraced it completely. I love the variety, the excitement and energy, and the people. I love the challenge of 150+ auction days each year. The business is picking up the pace. TV shows, the Internet, on-line bidding, more competition. It’s a new challenge every day. S.A.K: You may have seen a couple of the new storage auction hunting shows – Do you think these are having a positive or negative impact on the industry? Do you think they are necessary? Rich Schur: The public seems to like them, and they have certainly brought out more bidders. They have also created more awareness among the public and the storage industry. They have certainly had some positive effect on our business and on storage auction business across the country. They have also created some problems, although minor. There are significantly more untrained and inexperienced bidders attending the sales. These folks may end up making bad purchases, and often walk away disillusioned. There’s not a pot of gold in every unit. Experienced bidders know what to look for, and what to avoid. They are prepared for the trash and the dirt, and then they are thrilled when they find the treasure. Newer buyers need to temper their expectations and prepare for the hard work that it takes to become and remain successful in this business. S.A.K:Where do you see self storage auctions in particular going in the next 10 or 20 years? How do you expect the industry to evolve? Rich Schur: As long as there are storage units (more than 50,000 locations in the US alone), there will be people defaulting on their leases. 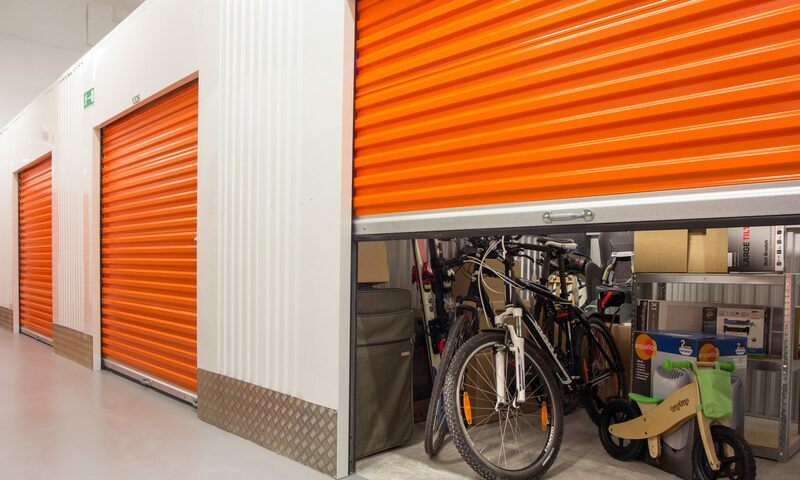 Although I think these shows have opened the eyes of a few renters who have worked harder to pay their bill, there will always be storage auctions. I think that the fad of these TV shows will wear off in the near future, and crowds of buyers will return to pre-show sizes. I think that on-line storage auctions are coming, perhaps not immediately, but they are coming and we are discussing this with our clients. I think that the new flood of auctioneers providing this service will also filter out. Many have jumped on the band-wagon, but will not stay in the business long. Without volume, there’s little profit. Storage auctions will always be here. More facilities will be built, more people will default, and there will always be a need. S.A.K: What is the craziest experience you have ever had while handling an auction? Rich Schur: That’s a tough one. Anyone in this business must be crazy, auctioneers and bidders alike. I think the fist fight that broke out because someone was in front of someone else was wild. The car we discovered behind boxes… the fun stuff people report finding (and the not so fun, like the bag of used diapers). It’s all crazy. S.A.K: Anything you’d like to tell our eager auction buyers? Some advice for striking it rich? Rich Schur: Advice for striking it rich? The best way to make a million dollars in this business is to start with two million. It’s a lot of hard, physical work. It requires cash and risk. It requires patience. Only those who are willing to work in volume, spend money, and work hard will ever make it rich. And luck plays a part in it too. You might find that pot of gold like the TV shows insinuate, but likely not. You’ll find good things that can be resold for a profit. If you buy low and sell high often enough, it becomes worthwhile. But it all depends upon your definition for striking it rich. For me, it was marrying my best friend, and finding a job that I love doing every day, and making a fair living. I wouldn’t trade it for the world. Thanks so much for your time, Rich! You can check out Rich and his company at Schur Success.